Can’t make it to the street for this year’s Mardi Gras? Bring the festivities to your home and start the party planning with these ideas. 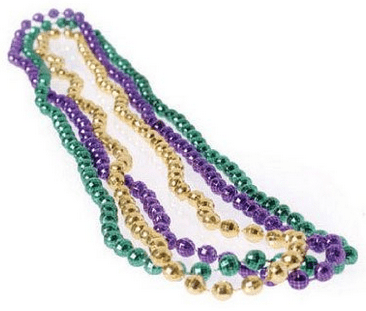 Do purple, green and gold decorations for a merry Mardi Gras party. 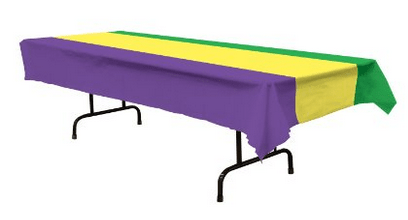 Lay out this Mardi Gras Table Cover to get guests in the mood. Perfectly finish table setting by scattering these assorted beaded necklaces. 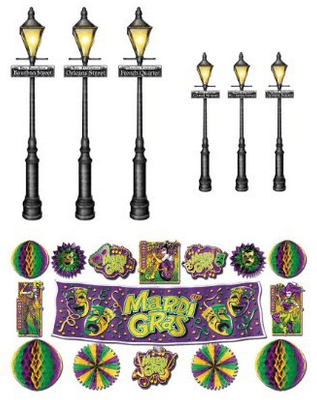 Deck the walls and ceiling with Mardi Gras Decor & Street Light Props Party Accessories. Don’t forget to add this Diamond Metallic Fringe Drape for an even more festive Mardi Gras home party touch! Martha Stewart has loads of great Mardi Gras food recipes for you. 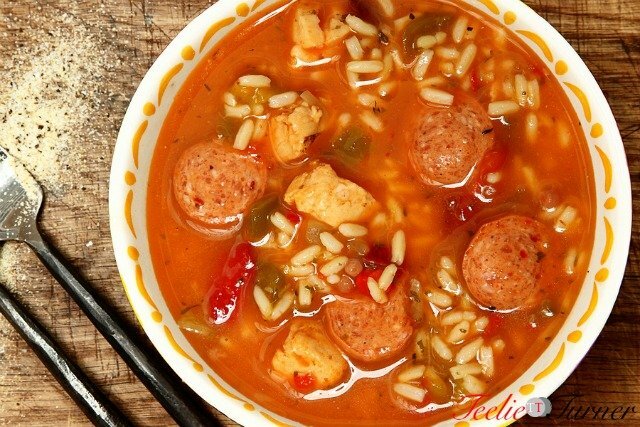 Our favorites include Fried Oyster Po’ Boys which gives a fresh spin to hotdogs in buns, Shrimp Jambalaya and Chicken and Andouille Gumbo for that authentic Louisiana taste. 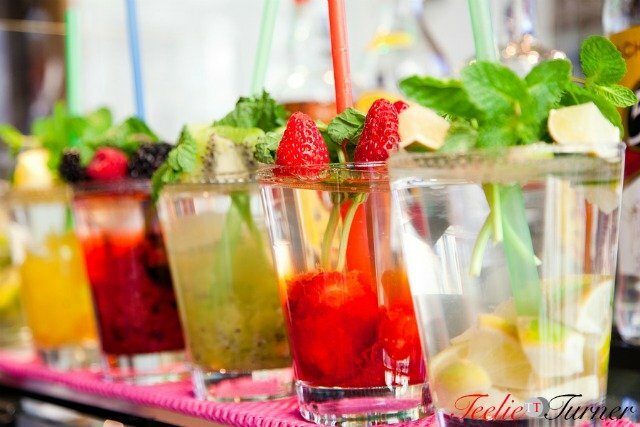 Of course, good food should come with great drinks! Cocktails will be a hit. We suggest Mai Tai, Red Rooster aka Madras and Mojito for the adults. Kids will not miss out on the Mardi Gras spirit with these mocktail recipes from She Knows: Green Gator’s Blood, Virgin Raspberry Frozen Margarita and Pomegranate Hurricane. Complete your festive celebration with great songs and super fun games. 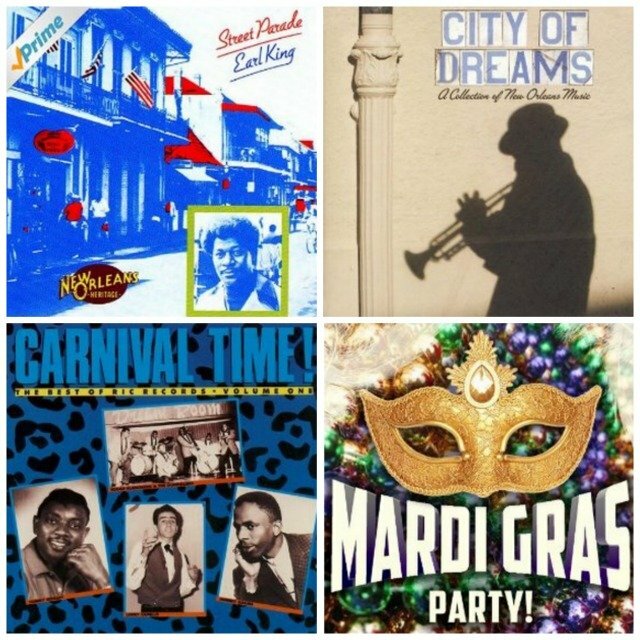 Turn up the party with songs like “Go to the Mardi Gras”, “Carnival Time”, “Street Parade” and “Mardi Gras Mambo.” There are also loads of Fat Tuesday albums on Amazon. See them here. For games and fun activities, have guests wearing their Mardi Gras costumes and do your very own fashion show! Let them flaunt their outfits with audience impact judging who wins. Trade store-bought masks for a “make your own Mardi Gras mask” contest too! We’re sure the kids will be thrilled. Happy Fat Tuesday!Don’t forget to follow our Mardi Gras Pinterest board!